Pet Policy: Well-behaved dogs welcome. No fee or weight restrictions. Description: OFF THE BEATEN TRACK due west of Portland! For 40 miles Highway 101 turns inland between Tillamook and Lincoln City. But running along the coastline (and unknown to most travelers) is beautiful 3 Capes Road. Nestled between Cape Kiwanda and Cape Lookout is the secluded village of Tierra del Mar. This is the Oregon Coast of the old days even at the height of the summer season you can usually walk for miles along the isolated, pristine beach without encountering another person. 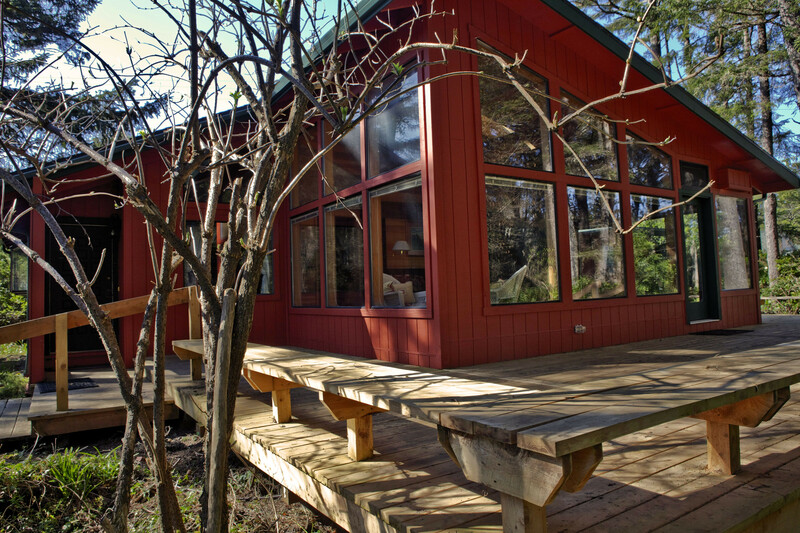 Quiet & secluded, nestled at the edge of native hemlock & Sitka spruce forest, this pet-friendly house is an easy 1-block stroll from the beach. Floor-to-ceiling windows reveal a stunning view into hemlock and Sitka spruce forest that begins just steps from immense wrap-around juniper deck. Hardwood interiors, skylights, vaulted ceilings, fireplace. Free WiFi, eclectic library, and games. Large, sunny fully equipped kitchen. Kids Bunkhouse sleeps 2-3 and adjoins the deck near the bedrooms. 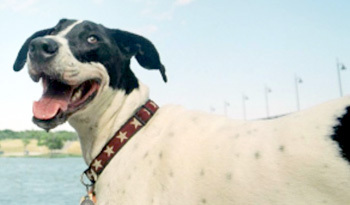 Pet Policy: There is a $20.00 per pet per stay fee for pets. - There is a 2 pet limit per room maximum. - We will happily provide 1 water and 1 food bowl per room if needed - No Barking is allowed and you are expected to tone down a noisy pet if needed. - Pets are NOT allowed BEDS or furniture! - Pets are NOT to be left unattended at anytime on the property. - No Pets washed or dried inside the room - No Pets are allowed to "stay" in vehicles - Do not use room towels on pets (pet towels are provided for this at the office) - Pets must be supervised when outside at all times - Owners must pick up after their pets - You are expected to sweep the floors prior to checkout. - Beachcomber Cottages is NOT responsible for your pet, you are, please keep that in mind during your stay. - When you make a reservation and stay with us you are agreeing you both understand and agree to comply with any and all pet rules mentioned. Additional charges may apply for failure to comply with â€œpet rulesâ€ as well as possible eviction from the hotel and any future booking with us. Remember to keep allowing pets on our premises it is up to pets owners being responsible if too many stray from these very basic neighbor and property friendly guidelines we have the right to stop accepting pets at anytime without notice. As always established service animals (not companion pets) are always accepted at the motel. Description: Perched on panoramic Searose Beach, located on Oregon's beautiful Central Coast on Highway 101. Across from The Siuslaw National Forest, this area is filled with sea life, tide pools, shells and agates. The Beachcomber has been a favorite for for couples and families alike for over 50 years. Enjoy a relaxing stroll along the quiet beach, watch for California Grey whales as they make their way along the coast, search for coastal treasures and take in spectacular one of a kind sunsets. Beachcomber Cottages is truly your home away from home and more. Pet Policy: Many of our condos are now pet friendly! We allow Dogs of 50lbs or less, 2 dog max. Pet fee is $10per pet, per night. Please call for more information. Description: At Great Bend Vacation Rentals we are ready to serve you and your traveling party with over 20 wonderful condos on the ridge above the Deschutes River in Bend, Oregon. All condos are fully equipped with kitchens, cozy fireplace and deck with a view. Affordable, comfortable and very clean!